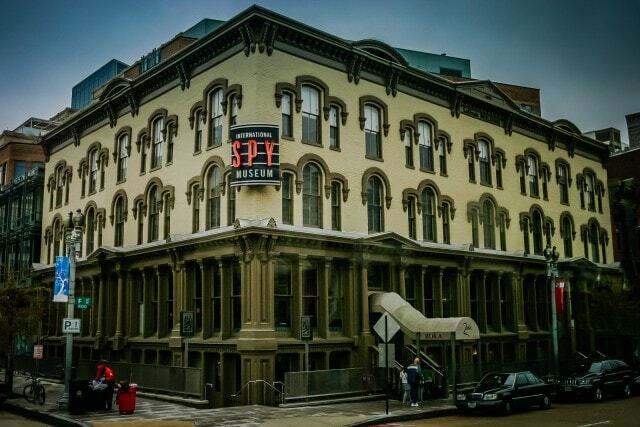 The International Spy Museum is an entertaining place to take the kids regardless, but for a kid who is into spies – it’s pure magic. Spy City Tour: Trailing Spies in Washington, D.C. The spy recruit scenario, with an assignment that called for code breaking and disguises, was a little hokey. I thought that the narration of the capital city’s history of deception and betrayal recounted was interesting enough without additional embellishment. It was fascinating to hear the tales behind some of the city’s hot spots. But the spy challenge helped cement the kids’ continued interest, making the theatrics more than worthwhile. 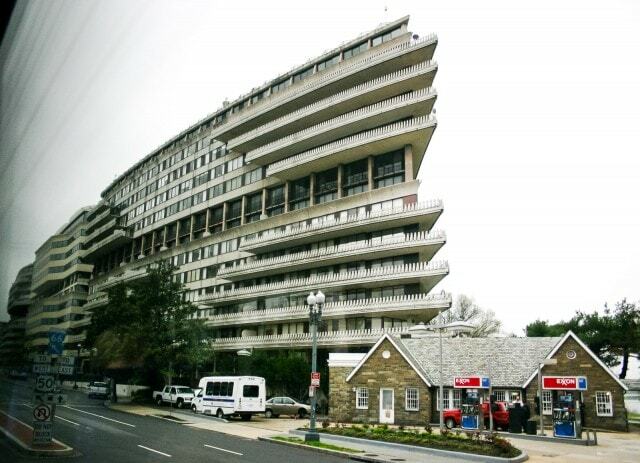 Watergate Apartments, site of the break-in and cover-up that resulted in the resignation of President Nixon. At the end of the city tour, we were dropped off at the Spy Museum. This is where all the spy training came in handy as it turned out that photography was not allowed in the exhibits. I used my new skills to avoid detection as I captured off-limit images. 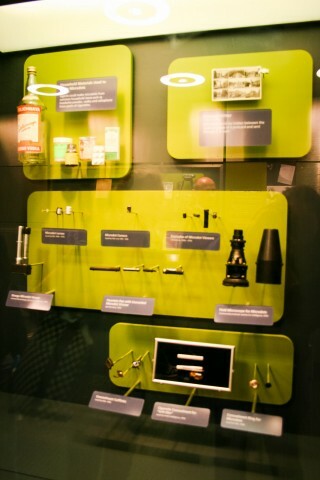 Perhaps the Spy Museum management was afraid that I would reveal secret technology like how to plant a microdot. Yes, folks, watch out the next time you receive a postcard. You never know what secrets are concealed beneath an image lovingly selected by a friend. Is is just a photo of Mt. Rushmore, or is it something more? We entered the Spy Museum with a healthy collection of spy books, and still managed to double our holdings. Watch out for the museum gift shop – it’s dangerous! Books about spies are a great way to introduce history and even math, and they’re just fun to read too. I figured that if I was going to make this list, I might as well post it in case you have a budding spy aficionado. Even if you don’t, these are a great way to introduce kids to a mesmerizing subject that will also allow you to sneak in a little history and math. Who Hates Whom – Well-Armed Fanatics, Intractable Conflicts, and Various Things Blowing Up: A Woefully Incomplete Guide by Bob Harris. Did you spot my young spy blending in? 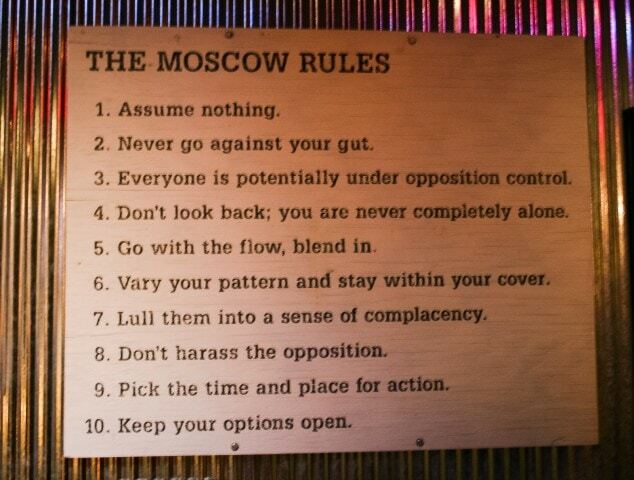 She copied the Moscow Rules into her reporter’s notebook, and is using them as a general guide to life. Admission: $19.95/adults, $13.95/youths, FREE for kids 6 and under. Additional fees apply for the Spy City Tour, Operation Spy, and other activities. Note – This article was first published on June 10, 2009 in TheJourneyMom.com. Adventures in Eating: Ethiopian Dining with the Kids in Washington D.C.